Traumatic brain injury (TBI) is a growing problem. An estimated 10 million people are affected annually worldwide by TBI, and the burden of mortality and morbidity that imposes on society makes TBI a pressing public health and medical problem1. The populations most at risk are children, teens, and the elderly and TBI contributes to numerous hospital emergency room visits. 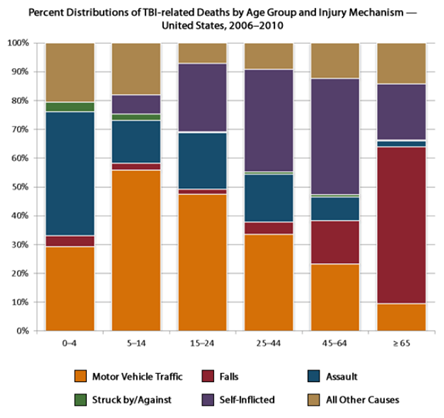 The Centers for Disease Control tracks epidemiological data and statistics for TBI in the United States. Preclinical animal models provide important means to study TBI. New research from the Laboratory of CNS Injury and Repair at JFK Medical Center published in Brain Sciences investigated the impact of TBI-related neurodegeneration on sensorimotor impairments using the fluid percussion injury (FPI) model of TBI. Bhowmick et al. measured the extent of neurodegeneration and sensorimotor impairments in a cohort of adult male C57BL/6NTac mice. The research indicates "that neurodegeneration following FPI exacerbates sensorimotor deficits and thus provides direct evidence that incidence of neurodegeneration after FPI may potentially result in increased neurological deficits and thereby warrant strict monitoring of these events2." Other avenues of TBI research include understanding how factors such as the patient immune system and microbiota impact disease severity3-5. Disruption of the gut-brain axis may be a contributing factor to TBI complications, and new research indicates that immune system targets may improve patient treatment in the future3-4. Studies in mice indicate that TBI can lead to changes in microbiota and inflammatory and immune disorders4-5. 1. Hyder AA, et al. The impact of traumatic brain injuries: a global perspective. NeuroRehabilitation. 2007, 22, 341-53. 2. Bhowmick, S, et al. "Neurodegeneration and sensorimotor deficits in the mouse model of traumatic brain injury." Brain sciences. 2018, 8.1, 11. 3. 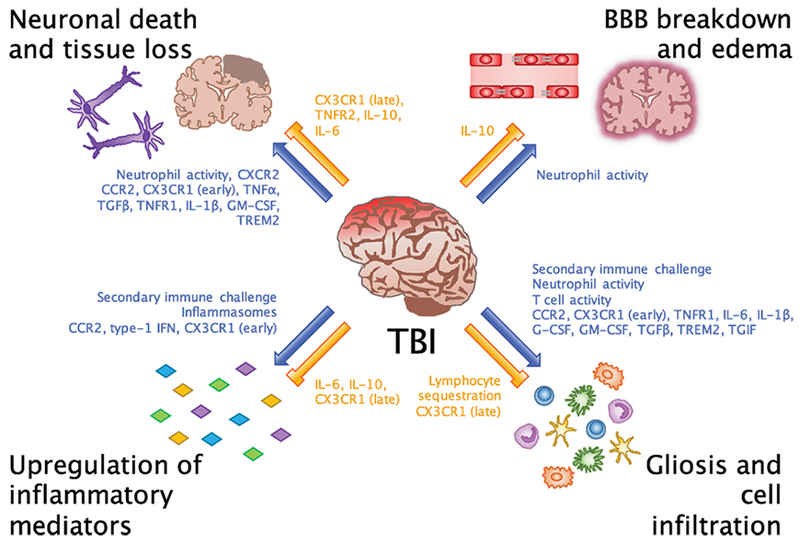 McKee Celia A., Lukens John R. "Emerging Roles for the Immune System in Traumatic Brain Injury" Frontiers in Immunology, 7, 556. 4. Kharrazian D. Traumatic Brain Injury and the Effect on the Brain-Gut Axis. Altern Ther Health Med. 2015, Suppl 3,28-32. 5. A. Houlden, M. Goldrick, D, et. al. Brain injury induces specific changes in the caecal microbiota of mice via altered autonomic activity and mucoprotein production. Brain, Behavior, and Immunity. 2016, 57, 10-20.